Last weekend was the 52nd annual Allegany Nature Pilgrimage at Allegany State Park. Every year I seem to get some great dragonflies and this year was no different. I had two lifers this year! 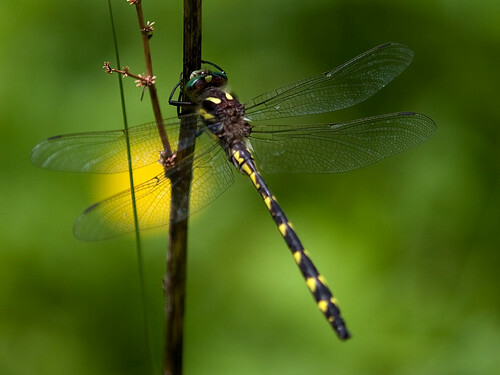 The first dragonfly was a Delta-Spotted Spiketail. I found this guy on a mushroom walk when we crossed a power line clearing that had a slow stream running through it. Later that day I was on a walk looking at the tornado blow down trail after 20 years and a walk participant found a Southern Pygmy Clubtail on one of the walk participants. I lead two walks on Saturday with a combined 70 people attending. 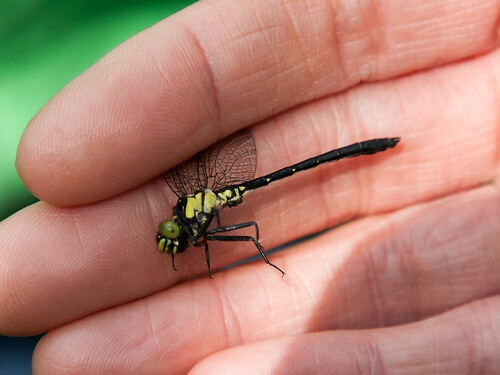 We caught tons of Common Baskettails, a Unicorn Clubtail, a 12-Spotted Skimmer, Skimming Bluets, and Rainbow Bluets. At home I had a few Widow Skimmers emerge in the aquarium last week and yesterday I had a 12-Spotted emerge. I keep meaning to set up a larval aquarium. Are they pretty easy to take care of? Maybe you should do a blog post on raising nymphs! I am enjoy watching dragonflies dacing in the sky, how about you, I think it is wonderful!